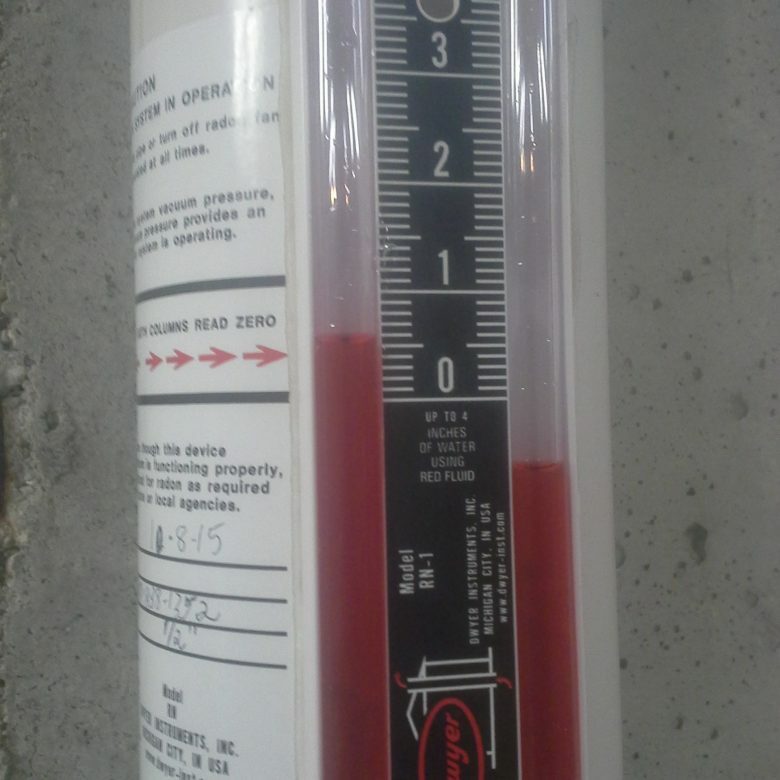 If you’ve had an active radon mitigation system installed (one with a fan that helps expel radon gas), then this photo of a manometer should look familiar. This device measures the pressure in the pipe to easily show if a fan is working. Having the levels UNEVEN is exactly what you want to see! If your manometer shows EVEN levels in the U-tube, make sure you call a radon mitigation specialist to check your fan out. ← You’re Sending How Many Guys?